Size of this PNG preview of this SVG file: 800 × 533 пиксел (нүкте). Басқа ажыратылымдығы: 320 × 213 пиксел (нүкте) | 640 × 427 пиксел (нүкте) | 1024 × 683 пиксел (нүкте) | 1280 × 853 пиксел (нүкте) | 4320 × 2880 пиксел (нүкте). Бұл векторлық сурет мәтіндік редактор көмегімен жасалғанОның бастапқы кодында тақырып бойынша қосымша ақпарат пен жоғары дәрежелі семантика болуы мүмкін. 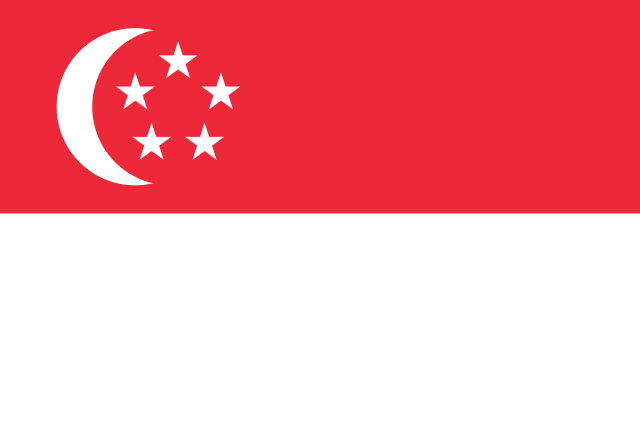 According to advice provided by the Ministry of Information, Communications and the Arts of Singapore, the national flag of Singapore may be reproduced in reduced size representations and displayed at all times, but it must be in its true form and colours, regardless of size: see National Symbols and References: The National Flag – Guidelines. 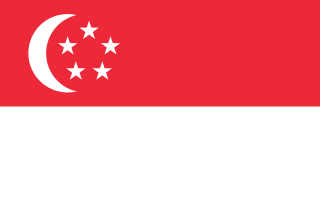 Singapore Infomap. Ministry of Information, Communication and the Arts. Retrieved on October 16 2007.
ағымдағы 16:46, 2018 ж. желтоқсанның 24 4320 × 2880 (1 КБ) Jdx Fulfilling edit request by User:Tcfc2349. 15:03, 2009 ж. қаңтардың 7 4320 × 2880 (1 КБ) Zscout370 I was asked to base my drawing from http://www.sg/explore/Singapore_Arms_And_Flag_And_National_Anthem_Rules.pdf, which I did. Only slight changes. 07:54, 2008 ж. қарашаның 26 4320 × 2880 (2 КБ) Zscout370 Fixed according to page 5 of the "National Symbols Kit" and http://www.sg/explore/symbols_flag.htm. The crescent was too wide.